Предлагаем к чтению аннотацию, описание, краткое содержание или предисловие (зависит от того, что написал сам автор книги «The Day After Oblivion»). Если вы не нашли необходимую информацию о книге — напишите в комментариях, мы постараемся отыскать её. Кто написал The Day After Oblivion? Узнайте фамилию, как зовут автора книги и список всех его произведений по сериям. Ниже представлен текст книги, разбитый по страницам. Система автоматического сохранения места последней прочитанной страницы, позволяет с удобством читать онлайн бесплатно книгу «The Day After Oblivion», без необходимости каждый раз заново искать на чём Вы остановились. Не бойтесь закрыть страницу, как только Вы зайдёте на неё снова — увидите то же место, на котором закончили чтение. the first of the next generation. As the group from this morning’s intelligence briefing filters out of the Oval Office, President Thomas Aldridge arches his back, trying to alleviate the pain that has taken up residence along his lower spine. The world’s escalating problems are reflected in the length of the briefings, this one lasting more than an hour. Not only are they dealing with the usual problems—North Korea, Syria, Putin—but a growing trend that’s threatening every major computer system, both civilian and government: hacking. And it’s gone well beyond a few private e-mails leaked to the press. The Russian and Chinese governments have hacked their way onto the nation’s power grids and there’s a growing concern it’s only the tip of the iceberg. Aldridge knows from his daily briefings that the United States bears some responsibility for the enemy’s computer infiltrations. The computer jocks at the National Security Agency (NSA) were the first to burrow into the power grid computer code in both China and Russia, as well as in many other countries. Aldridge can live with a power grid détente. It’s the constant worry about infiltrations into the country’s most sensitive networks that keep him up at night. Aldridge sighs and arches his back a final time before walking over to his desk. A tall man, it doesn’t take him long to cover the distance. He circles behind the desk and drops into his seat, reaching for his smartphone. Rail thin, Aldridge runs five miles on the treadmill every morning before most people are out of bed. And at fifty-six, he has the usual aches and pains but he’s remarkably healthy for a man who has spent the past three years lugging around the mountain of problems that come with his office. He slips on his reading glasses and pulls up the favorites list on his phone. He sends a text to his son Jacob, a high school senior, about his first-hour calculus test. The fact that President Aldridge has a smartphone is a long-simmering issue between him and the Secret Service. The battle raged until Inauguration Day, when the service relented and presented him with a phone that had been specially programmed by the computer whizzes at the NSA. Now the phone is always within reach no matter where he is in the world. “I’m sure he did fine,” Isabella says. “Calculus was definitely not my subject. I think you either get it or you don’t. Unfortunately I never did.” Alvarez, forty-three, has the dark complexion and raven black hair of her Mexican ancestors, but her azure eyes are a gift from her Caucasian father. “What’s wrong, sir?” Isabella asks, striding across the room. The President turns the phone her way. On the screen are three words—VENGEANCE IS OURS. The white letters are in stark contrast to the scarlet background. “I thought your phone was supposed to be unhackable,” Isabella says. “Military or civilian, sir?” the colonel asks. “Colonel, I don’t care if they’re from Mars. Send me the best we have.” The general replaces the handset, stands, and begins pacing the perimeter of his office while his mind clicks through the list of probable suspects. Located approximately forty miles northwest of the White House on the edge of Fort Meade, the National Security Agency occupies a sprawling office complex dominated by two large buildings sheathed in dark glass. The black glass creates a mysterious aura, befitting the secret work that goes on inside. Created in 2009, USCYBERCOM started at the back of the pack and remains in catch-up mode as they attempt to thwart the daily assaults on the nation’s defense networks. The man charged with the mission, Vickers, is a four-star who rocketed up the army ranks. A broad-shouldered man of average height whose salt-and-pepper hair is cut high and tight, Vickers has two advanced degrees from an Ivy League university. Unfortunately, neither is computer related, and the general is also playing catch-up, learning on the fly. Vickers stops pacing when there’s a knock at his door. “Enter,” he shouts. That’s the other thing about Vickers—he’s not big on gatekeepers. If you want to see him, you knock and enter, if so instructed. The door opens revealing a woman, early thirties, dressed in ripped jeans, flip-flops, and a T-shirt—all in black. Standing beside her is a man, approximately the same age, tall and broad, outfitted in khakis, a blue blazer, and a button-down shirt. Vickers waves a hand at the two chairs fronting his desk and works his way back to his chair. The woman saunters over, plops down, and crosses her leg, letting a flip-flop dangle from the edge of her big toe. The man straightens his blazer and sits, his posture ramrod straight. “Let me guess—you were expecting a couple of good old boys?” the woman says. 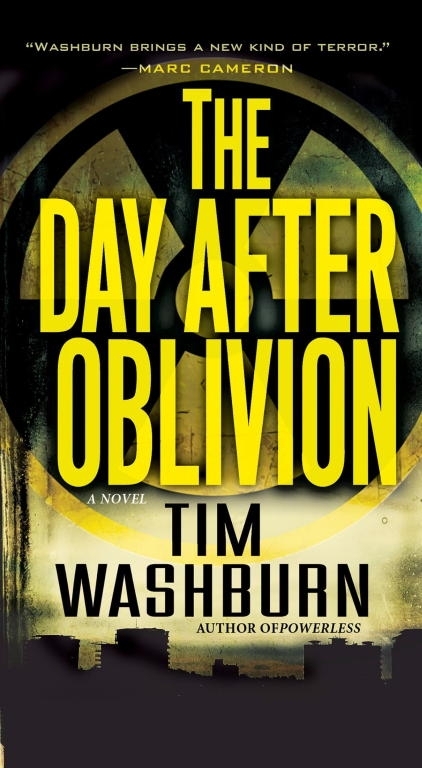 Представляем Вашему вниманию похожие книги на «The Day After Oblivion» списком для выбора. Мы отобрали схожую по названию и смыслу литературу в надежде предоставить читателям больше вариантов отыскать новые, интересные, ещё не прочитанные произведения. Обсуждение, отзывы о книге «The Day After Oblivion» и просто собственные мнения читателей. Оставьте ваши комментарии, напишите, что Вы думаете о произведении, его смысле или главных героях. Укажите что конкретно понравилось, а что нет, и почему Вы так считаете.